The APGLI Department is one of the oldest departments in the State. The Scheme was originally started in 1907 by the Nizam of erstwhile State of Hyderabad for the welfare of his employees. A Management Committee used to run the scheme initially in the name of Family Pension Fund. 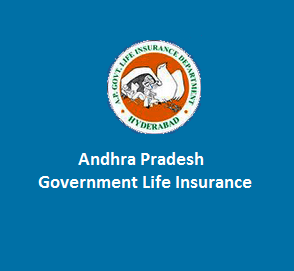 Later the scheme was renamed as Hyderabad State Life Insurance Fund in the year 1913.After formation of Andhra Pradesh state in 1956, the scheme was changed as "Andhra Pradesh Government Life Insurance Fund". The first Managing Committee meeting after formation of Andhra Pradesh State consisting of 4 members, one Secretary and a President was held on 25-9-1957 and Sri B.Gopala Reddi, the then Honorable Finance Minister was President of the meeting.APGLI Scheme is a Social Security Measure for the welfare of the Government employees and is mandatory for all Government employees and provincialised Local Body employees.APGLI Department is under the Administrative Control of Finance Department. How to Check APGLI Policy Details online ? 1. Log on to APGLI Department Official Website. 2. Than Click on "Policy Details"
6. Click on "View Details"
How to Get APGLI Policy Bond online ? 2. Than Click on " Policy Bond "
7. Click on "Get Policy Bond"
How To Search APGLI Policy Number online ? 2. Click on "Policy No.Search"
7. Click on " Retrieve Policy No"
How to Download APGLI Annual Account Slip online ? 2. Click on "Annual Account Slip"
3. Enter Your Policy Number. 6. Click on "View Report"
Acrobat reader is required to download the report. Click here to download free Adobe Acrobat Reader software (If not installed on your System).